Online, your website is a public face, a salesperson working 24/7, and one that people are increasingly using to judge your business. As such, it is worthwhile investing money into its appearance and ease of use. Before we look at content issues, the first thing to consider is the actual domain name. Whilst some people may advocate a long name full of keywords, you have to consider the possible loss of business from potential clients who either can’t remember your address or who can’t be bothered to type it in. Perhaps they may even go to the bother of trying to type it in, only to find that they made a mistake but can’t be bothered to find it – instead going to a competitor. If your email address follows your domain name format, then the problem could be compounded. You may think one way around this is by using a Quick Response (QR) code. These are the square graphic symbols that have been appearing on advertising and some business cards. They have their place and can work, depending on their application, however you have to consider how ‘quick’ they actually are. The user must take out their phone, load the QR reader app and finally hold their phone so it captures the QR code using the camera. Sometimes it’s easier to just use a short web and email address that will make it simpler for people to reach you. 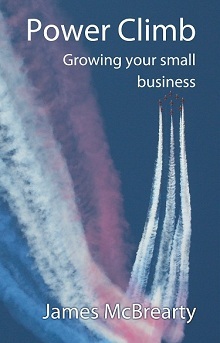 I had been researching local businesses at the start of 2012, which has exposed me to over 1,500 different websites. Unfortunately, I found that many of them are continuing to make the same mistakes – ones which are costing them business and making it easier for their competitors, despite being straightforward to fix. The site has gone – if people find you through a directory or search and then go to your website only to find an empty error page they are likely to assume that you have gone out of business. Perhaps you have a new website, but it may be worth keeping the old one as a redirect to the new site. If people go to your physical address and it’s empty they assume you have gone out of business. At least with a building sometimes people put a note in the window telling people where they have moved to, it should be the same online. Contact details – the purpose of many websites is to generate enquiries for the business. If this is the goal, then it should be made easy for people to contact you, and to know who you are. If you just have a business name with no personal details you are less likely to receive enquiries – people do business with people. You also want to make it easy for people to reach you, by whatever method they prefer, whether that is by email or telephone or via a social network. Location – I have noticed some sites not actually telling you where they are located. For a limited company it is a legal requirement that the registered address is shown on the website, as well as the other contact details, yet some sites don’t tell you anywhere where they are located. Some other sites have started posting vague statements about areas they cover – that might bring them search results, but when local people are looking to do business with a local company they are going to be less than impressed that they are based maybe 100 miles away but ‘cover’ the area. Email address – there are three aspects to consider. The first is whether it is made easy for people to contact the company – complicated forms with large numbers of compulsory boxes will drive clients away. The second is the actual email address. It is very affordable to have a personal email, rather than a free account. When people are contacting the business, if they see that they only have a free email address it will affect their impression of the business. The final aspect is to ensure that the email address is a valid one – if people receive a bounced email error after taking the time to write you a message, it is as bad as a sales person that just walks away after the potential client has taken the time to explain their issue. These are several of the points to consider, which are all simple and low cost options to increase the business generated from a website. Depending on how the website content management system is structured, they should be able to be changed in minutes rather than hours.